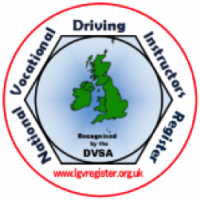 Test your knowledge on “Vehicle Loading” in this quiz. When loading a lorry why is it important to distribute the weight evenly over the axles? By loading the vehicle evenly over the axles it will give it maximum stability. When you are laden remember to look well ahead and brake slowly, if you are making a turn reduce your speed to stop the load from moving. What is the most important thing to do when loading a vehicle? When loading the vehicle you must spread the load evenly across the axles. Overloading can cause many problems and it is an offence to be overloaded which will result in the driver and operator receiving severe penalties. You are carrying an ISO container on your trailer, you need to make sure that? ISO (International Standards Organisation) containers should only be carried on trailers that have appropriate securing points on them. These are to enable the container to be secured to the body. Which statement below is true when you are loading an ISO container onto a vehicle? Loaded containers use a different system to secure them to the vehicle. Familiarise yourself with different types of load restraints. 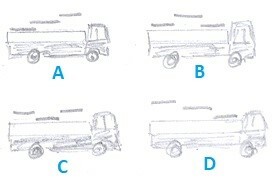 Which of the following vehicles shows the correct procedure for using three sheets to cover the load? Always check the sheets when you are driving and stop for a break. Air can get trapped under the sheets and work them loose. You are sheeting your load, when using more than one sheet you should start with the near most sheet first and work forwards, this will? Sheeting the load properly will stop the wind and rain from getting into the load. It will also stop the sheets from flapping around in the wind and causing a hazard. What is the best knot to use when you are roping down a load on your trailer? When securing a load by rope, you should use a dolly knot. This is a non-slip knot that holds most firmly. You should be taught or know how to tie these. Scrap metal is unsuitable to be tied down with ropes because they? Scrap metal can be sharp, thus causing the ropes to wear and snap. You need to decide which type of restraint to use depending on your load. Why should you sheet your load of loose dry sand when driving a tipper? To stop the load from blowing away and causing hazards to other road users you must always cover the load. Your load whilst driving becomes insecure, you should? If your load starts to become insecure stop as soon as it is safe to do so and re-secure the load. If it is not possible to do that then get assistance. When driving tankers, what would stop the ‘wave effect’? Vehicles are now fitted with ‘baffle plates’ inside the tank to help reduce or minimize the movement of the liquid inside. You are driving a loaded articulated tanker, when braking to stop the liquid load will be inclined to? The liquid load will tend to surge forward when applying the brake. You must apply even pressure to the brake and do not relax it until the vehicle has come to a stop. Apply the parking brake before you release the footbrake. The inside of the tanker you are driving does not have compartments and is half full, when braking to stop you should? The liquid will tend to surge forward when braking so maintain a steady pressure on the brake pedal until the vehicle has stopped. Put your parking brake on before taking your foot of the brake pedal. A lorry fitted with road-friendly suspension is better for carrying a load of? Glass is a fragile load and must be handled accordingly. Secure the load with the most appropriate restraints. Using a road-friendly suspension vehicle will help reduce the vibration from the road. You must be accompanied by an attendant when your load is wider than? You must be accompanied by an attendant and the police informed if you are carrying a load wider than 3.5 metres. You must have side markers to warn other road users of the wide load. An articulated lorry is more likely to jack-knife a trailer when? Braking severely with an empty trailer can cause jack-knifing; the tractor unit is pushed round by the semi-trailer pivoting around the fifth wheel. How would you check that the tractor and trailer are secure once you have recoupled? To make sure the locking mechanism is on, select a low gear and try to move forward. Make sure the dog-clip is connected to the kingpin release handle. What must you check first before you couple or uncouple your trailer? You must always check that the trailer brake is applied before you couple or uncouple it from the unit. When you uncouple a lorry and a trailer and disconnect the electric line, you should? You must stow your electric line and air lines safely. Leaving them lying around may cause injury or get damaged. 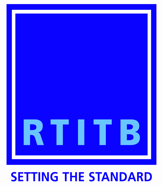 Your lorry has a demountable body, before you demount the body you need to make sure that? If you demount the body on somewhere that is soft, there is a risk that it may sink.